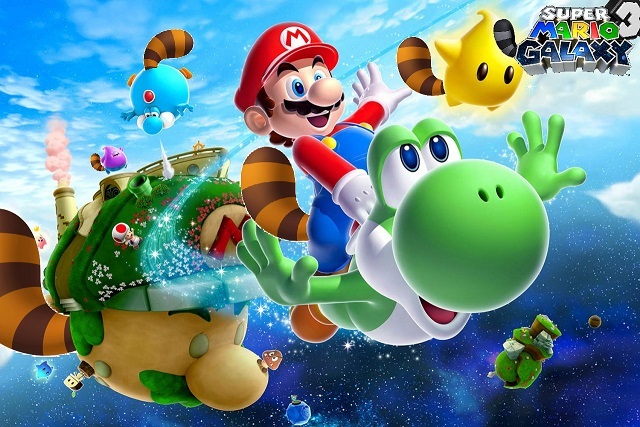 A new Super Mario Galaxy game to make a trilogy? Not only did we get spectacular news about a Wind Waker HD remake for the Wii U during the Wii U Direct broadcast today, we were also told that a new Super Mario title is currently in development for the console. 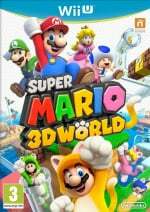 The Nintendo EAD Tokyo Software Development team behind the incredible Super Mario Galaxy titles for Wii and popular Super Mario 3D Land for 3DS are well underway working on Mario's upcoming 3D experience for the shiny new Wii U. No further details on a launch date have been given, but the game is scheduled to be playable at this year's E3. We wonder what Nintendo has up its sleeves regarding a new Mario adventure. Super Mario Galaxy 3, perhaps? Or something completely original? Let us know what you think! Pretty excited to see how this turns out. Super Mario Galaxy 2 was basically the perfect 3D Platformer, so let's see if they can somehow top it. I'm sure it'll look amazing. I hope for super mario galaxy 3 but a new game would be cool to. I want something new... something innovative that will inspire games for years to come, not another Galaxy please. They should make it a trilogy, but make it play so differently from the other two games. Super Mario galaxy 3 please, will be the best platform game ever. Give me big levels to explore and i'll explode in excitement! Playable at E3 = possible release in 2013? I'd like some bigger levels, too. That being said, the Super Mario Galaxies were incredibly focused and dense and full of platforming joy. It's going to be hard, near impossible, to top it. Of course they are making a 3D Mario but please, not Super Mario Galaxy again. I prefer Super Mario 64 and Super Mario Sunshine! I love the Galaxy games...but 2 are enough. Time for something new. @MeowGravy Problem is Super Mario Galaxy offers not exploration at all, which is the best thing in Super Mario 64 and Super Mario Sunshine. Yeah, the important 'news' in this is that it will be playable at E3. Sunshine 2 PLEASE!!! I want open levels to explore and the freedom of movement only a water powered jetpack can give. I prefer an all new Super Mario game. No sequels please. Mumma Mia! E3 can't come soon enough! I would really want a new super mario sunshine. Super Mario Galaxy 3, please! Super Mario Galaxy is so stunning I'm having a tough time imagining how Wii U Mario will look better. SMG looks like a HD game, to me. Yes, I'm dead serious. I think it looks as good as Pikmin 3. It'll probably be called Super Mario Universe (knowing Nintendo's tend to name their titles in refer to their console). Not news, but playable at E3 would be awesome - just not holding my breath. As for a Galaxy or SM64 sequel, I've never liked 64 and always thought it was overhyped due to it's original 3D open world experience, which was new at the time, but going back and playing it again it's just ugly and blocky and controls funny and the hub world level desgin makes no sense. Galaxy was a great game and looked as good as some PS3 games. I'ld rather have an original concept, but if they have to do SM Universe to get it out sooner, I'll happily play it. Sunshine 2 - but without the jetpack this time - could also be really exciting as well. Augh no more Galaxy please! Anything but galaxy!!! The Mario games have been getting bigger with each outing! How can you get bigger than the galaxy? I'd hate them to do a Mario Galaxy just for the sake of Mario Galaxy, even if they do change the gameplay structure and so on. They've got a whole world of Mario that could be explored. Like what if Rosalina comes down to visit their planet and Daisy is kidnapped by Bowser but then as Mario sets off Rosalina gets kidnapped by Baby Bowser Jnr, and why not allow Daisy to get captured by Tatanga again? Three Princesses that would take Mario to Yoshi's Chocolate Island, Delfino Island, and other locales in the Mario Universe that we haven't seen in a long time. That way, it's Mario in the largest possible sense and yet still not going back to the 'Galaxy' era. EDIT: OK I'm going to write a letter to someone... who do I send my idea to? I'm hoping for something new, and not another Galaxy. I loved the first game in the series, but the second felt too much like the original for my tastes. Bet it will be called Super Mario Universe... With a emphasis on the U.
Hmmm... I thoroughly enjoyed both Galaxy titles. So, I wouldn't mind a Galaxy 3. Maybe we'll finally see a Super Mario 128? Yeah, that'll be the day. In any case, this time around, there ought to be SIMULTANEOUS multiplayer. As in, both Mario and Luigi on-screen at the same time. Nintendo could pull it off with the NSMB titles; I'm pretty sure they have more than enough technology to make this possible. Maybe even a four-player quest with Yoshi and Wario included, like Super Mario 64 DS? If its something like Super Mario 3D Land then I am interested if its a sequel to Super Mario Galaxy than I will pass. Please, no Super Mario Galaxy 3. The last two were good but I miss the previous 3D Mario games like Super Mario 64 and Super Mario Sunshine where, unlike the Galaxy games, you had huges worlds to explore to get stars / shines. The Galaxy games were more in the likes of moving from point A to point B, without much exploration (with a few exceptions - e.g. Beach Bowl Galaxy). I really hope it's not Super Mario Galaxy 3. 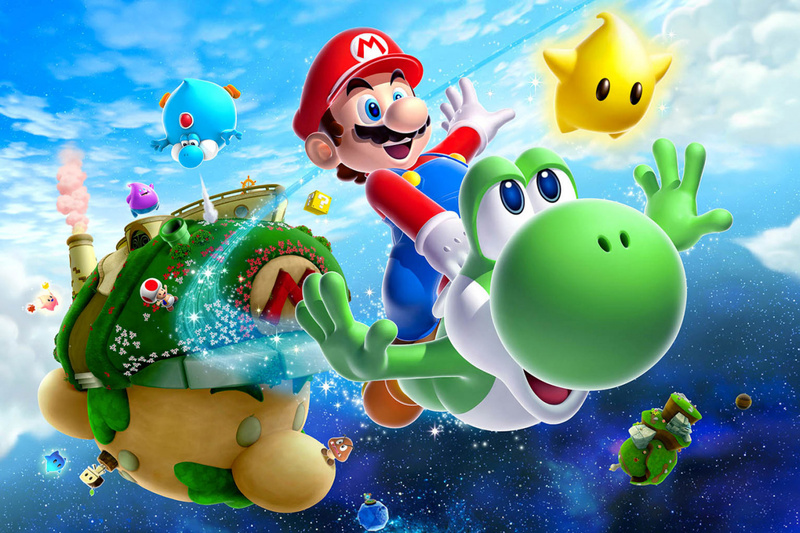 I love Galaxy, but I will be quite upset if it is Mario Galaxy 3. Time to either prove that Mario is still able to come up with something completely new and interesting or not. Mario Galaxy 3 is about the second safest thing they could do right now. @ScreamoPichu I really hope it is. The original was the best game ever made and then the sequel topped it. Who wouldn't want to see them try and top that? But I also hope we get a second, non-Galaxy, Mario game. Greedy? Perhaps. But why not? Best is not the same as innovative. SMG1 was the last Mario game I could really call innovative. All the games since, while I can't call them "bad", have just been retreading the same ground(and not just with gameplay). If it's a sequel to any other 3D Mario game, I kinda hope it's one to Sunshine. I would rather have a Sunshine 2 than a Galaxy 3. WHAT ABOUT NO SEQUELS, NO REMAKES, BUT A NEW, INNOVATIVE, ORIGINAL GAME. Super Mario Galaxy 2 was better than SMG but it was unnecessary and I hope they don't release Sunshine 2. Sunshine was a great game, but please can this be an ORIGINAL 3D MARIO? I AM BUYING A WII U.
SM64 or galaxy style unless they have come up with a awesome new formula. Not another Galaxy. Something new like Mario 64 was years ago. Or just something that´s similar to 64 and Sunshine. Hopefully it won't be like Galaxy or 3D Land. Both are good games, but SM64 and Sunshine are infinitely better. Hopefully they make the hub as explorable as it was in Sunshine.. Please give me an original game. No Galaxy sequel. I want Mario & Luigi co op and beautiful open worlds to explore. Thank you. haven't played the galaxy games, SM3DL is crap. i'm not going to try and expect something. Galaxy 2 felt like DLC for the first one. The presentation was bare-bones compared to the first one, and the hub world was even more ridiculous than Galaxy's. I genuinely enjoyed the first Galaxy and kept wanting to play it more. The second one, while full of genuinely good gameplay, feels more like a showcase of great ideas rather than a coherent game. I keep putting it back on the shelf in favor of other games. I don't know if I'll get a Wii U or not, but I hope they combine some original ideas with the things that worked in Galaxy, Sunshine, and 64. Mario 64 sequel or go to hell. I have high expectations that I hope are met with this game. 3D Land was great, but felt too much like Galaxy to me. No sequels. No similar styles. Just give us a wonderful-and memorable, Mario platformer. Either Sunshine 2, Galaxy 2, or something new please! I unearthed some official Galaxy 3 artwork from Nintendo's press server. So there IS a new 3D Mario in the works for the Wii u, and it will be shown this E3! I really wonder what it will be: Something totally new, or just Galaxy 3! Anyway, really looking forward to it! Holy crap! BEST IDEA EVER! The Wii U can hold 10 people tops if I'm correct. So what about Mario, Luigi, Wario, Waluigi, Donkey Kong, and Diddy Kong do branching storypaths trying to save (in the order I told the heroes) Peach, Daisy, Mona, Rosalina, Candy Kong, and Dixie Kong. It could be all the locales throughout the series with different characters taking different routes and fighting different bosses.SUPER MARIO ULTIMATE WORLD!!!!!!!!! Heck, I'd be content with Mario 64 HD. I really don't require any other 3D Mario Game if I'm being completely honest with myself. Please, no. Mario doesn't need to turn into Sonic Adventure. They should make Super Mario Time Travel game where it would be different mario worlds in differet time eras! @9-Volt that would be kool. I also wouldnt mind having another turn based rpg mario. Like I said, I think a Super Mario Multiverse game would be better. @shinpichu haha, i just scrolled down and put my thoughts in it. But thats is kool. Although Time travel and multi-verse can be 2 different things. Wow, soo much news! I hope they add some new things in this game! Where will our dear, beloved plumber adventure off to this time? Also I've been wondering when is Waluigi ever going to get his own game? If even Peach got her own platformer, I don't see why the dasterdly, michevious, Waluigi can't get a spinoff. As much as I loved the whacky gravity effects of Super Mario Galaxy series, Nintendo needs to return to their roots of open world 3D exploration like what they did with Mario 64 and Sunshine. Funky gravity and tiny spheroid worlds were great with the Galaxies, but a third game would likely be too played out. A unified theme/art style like what they had in Mario Sunshine would be cool too, as opposed to random worlds. And please, no 2D world maps for 3D games... Bring us back the hub worlds! sunshine better than galaxy ha people who post that are taking the piss right? This is how to create a rumor? Aside from jokes is surely planning something new, let's say a Super Mario Galaxy 3 with the exploration of Sunshine would be the only reason i will get a new SMG. If not, better be a new flick. Yeah I don't really understand how people can say that Galaxy 1 and 2 were amazing when I found them to be boring.. Super Mario 64 and Sunshine were so much better. Something similar to Super Mario 64 plz, the collecting star concept was cool. And plz, not timers, they only shorten the fun of playing the game, Each level should be fully explorable without having to worry about time ending, like SM64. PLEASE MAKE IT BE Super Mario 64 2,Nintendo! AWWWW.... I sorry. I got a little carried away didn't I? :] Sorry. Thanks for being honest. I got carried away. Yeah I know we got a overdose of the Koopalings recently, but now I think it's really time to put them in a 3D Mario! I would love to see that! @Raylax: I see what you did there! @9-Volt: I like your idea there. But just a quick question, and don't take this the wrong way, but why in the HELL would Waluigi be saving Rosalina? I can see this being like Galaxy in terms of gameplay, but taking place in the Mushroom Kingdom. I just hope it's something with an open world, anything like Super Mario Sunshine. I would even be thrilled with a Super Mario Sunshine 2, as it's by far my favourite Mario game! The Galaxy games were ok, but I really love exploring worlds, so I hope this new game has that, but I wouldn't want a Galaxy 3. An all new Mario title would be good, especially if it brought in all the exploration, secrets and characters or Mario Sunshine and Mario 64. With that and Galaxy's graphics, I think we've got a perfect game.